We are always thinking about ways to optimize our customer service. Resulting from this approach, we intensified our efforts and offer various new services to facilitate your life as our customer. We accompany you through the complete lifetime of your high pressure equipment and make sure that you always get the best out of our products. Our European headquarters in Bad Nauheim, Germany, has a service facility with highly trained and experienced engineers. We regularly run group and individual training courses in multiple languages for customers from all over the world - either in-house or at your facility. Investing a small amount of time and resources into learning the best practices and maintenance methods with KMT will prove beneficial. 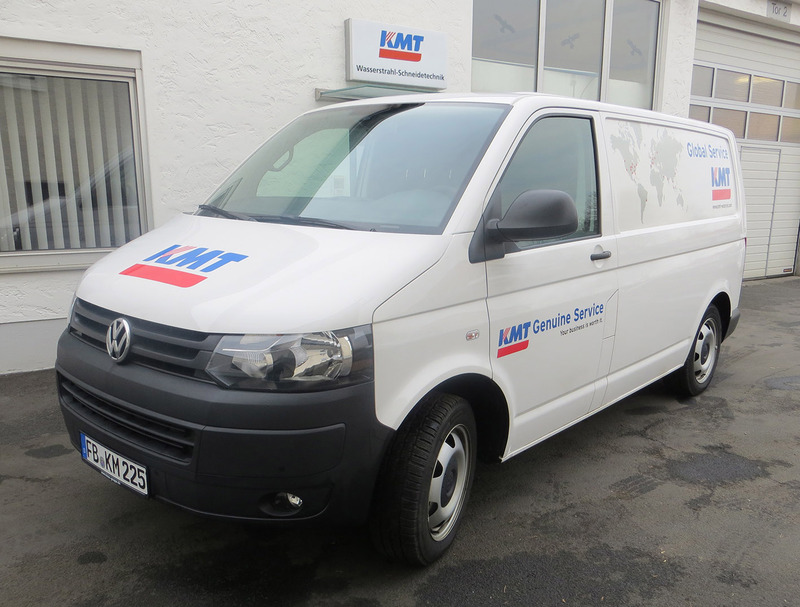 By providing many of our engineers with new, fully equipped service vans, we make them even better able to service your high pressure equipment. The vehicles include a large variety of tools and spare parts for common and less common repair and maintenance works. Therefore, our engineers are always prepared for every contingency and can help you quickly and flexibly. For the most common maintenance and repair jobs, we offer you fixed prices including labor and parts. With these comprehensive service packages, you are always on the safe side when planning your costs. Contact your service engineer for details. Maintaining your Waterjet equipment in top operating condition is important to ensure optimal efficiency. The KMT Genuine Service Maintenance Program will positively impact your business as regular inspections and proactive maintenance of your high pressure pumps will save you both time and money by improving the pump's overall performance. 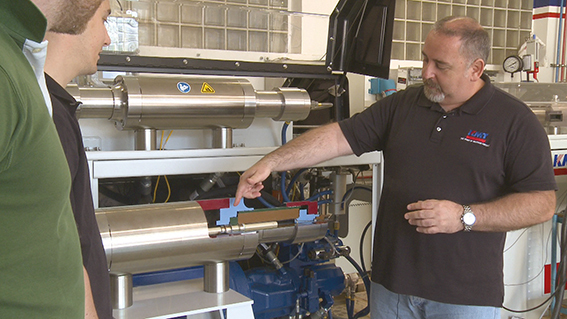 KMT Waterjet Systems provides you with a clear-cut guideline concerning warranty cases. We successfully use a classification system which unambiguously categorizes all components of the high pressure pumps for waterjet cutting machines - and we offer the possibility to extend the warranty period.